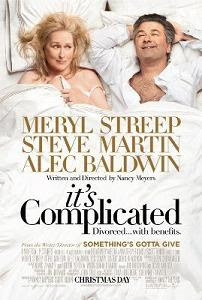 Aside from Meryl Streep, Alec Baldwin and Jon Krasinski are also really funny here. They do not even have to exaggerate. You just laugh. On the contrary, Steve Martin, who seems to be the one with the most tendency to exaggerate, does not do so in this movie. He actually seems to be just a support actor here, not a lot of laughs coming from him. The kids are just fine. There are a lot of LOL scenes and watching Meryl Streep do comedy is such a worthwhile experience because she does not rely much on all the mush but turns everything into something actually worth watching. It is also fun to see actors of high caliber tackling simple roles. It makes you love them more for their versatility. The ending of the hilarious laptop webcam scene suddenly turns dramatic, as the kids start to break down in tears. When asked why, the eldest replies, because we still haven't gotten over the divorce. It is the harsh reality. The good thing about divorce is that the couple could actually use it to grow separately and maintain civility towards each other but it is always the children who suffer in the end. And so, bad divorce. Bad. Very funny movie. Go watch!